I had grand plans for this January. Having spent a couple of months pondering and planning, I was all set to begin writing my third novel. There’s something about starting something new that sits very comfortably with me this time of year. 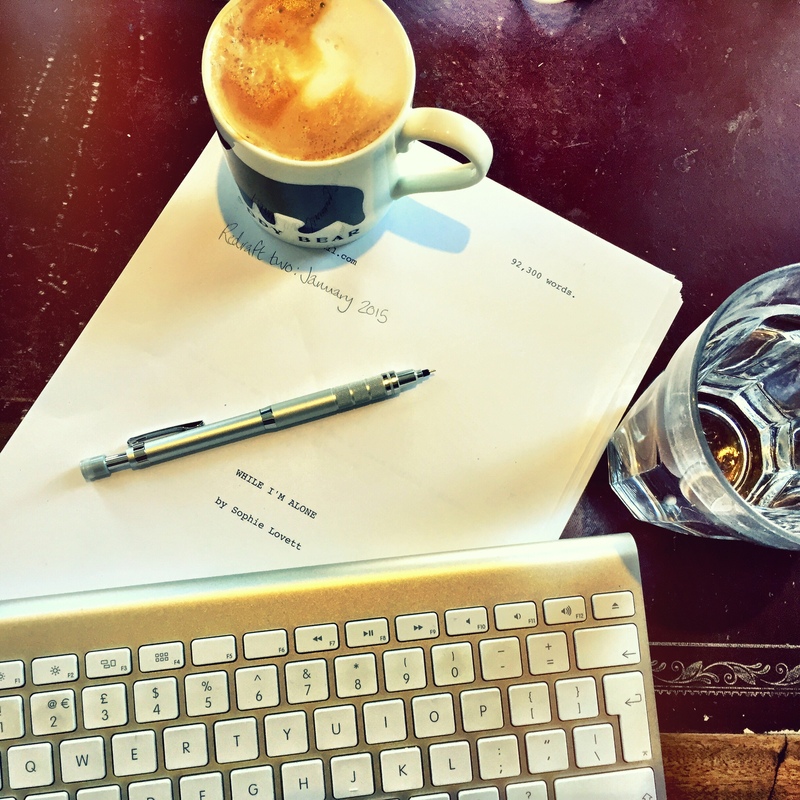 The no-pressure creativity of a first draft, where you’re free to let the story and the characters take you where they want, secure in the knowledge that there’ll be plenty of time for redrafts later. But then just before Christmas I opened an email from my agent that scuppered all that. It wasn’t a bad email, and I knew it was coming. I’d sent her the second draft of my second novel a few weeks before. Though I’d prodded and tweaked and added and deleted, I knew it wasn’t perfect. But I suppose somewhere in the recesses of my mind I hoped that maybe I’d managed a miracle, that I’d solved all the niggling problems of the first draft in one fell swoop and we’d be ready to begin the terrifying but exciting process of sending it out to publishers. Part of me’s glad that she agrees it needs more work. But it’s taken a huge mental shift to put down the tantalising threads of the new story that was beginning to develop and return to this one, hoping that somehow with fresh eyes the answers about how to release its potential will leap out at me. I didn’t touch it at all over Christmas. And then there was Arthur’s birthday. And New Year. But yesterday I sat down and read Becky’s email again. There were plenty of positives to buoy my spirit, and plenty of questions to challenge me too. I’ve decided I need to see my words on paper. I haven’t done that with the second draft yet, and it really does make a difference. So I’ve printed the manuscript off and am ready to begin again. I’m starting small this time, with the new mechanical pencil that Santa bought me replacing the multicoloured pens and post-it notes I used to attack the first draft. I feel like what I’m looking for is more subtle this time. Not that I’m ruling out major changes – I have some ideas about structure and characterisation that might make things very different. But for now it’s simply time to embrace the new challenges January has thrown up, to hold onto my conviction that this is a story worth telling, and to search deep inside myself for the very best way to tell it. This entry was posted in Sophie is writing, Uncategorized and tagged feedback, January, new beginnings, redrafting, third draft, writing on January 6, 2015 by sophieblovett. Oh crikey, it can be such a tortuous process can’t it. Why do we do it? It’s good to have feedback though and I’m sure that, after the initial disappointment, the work on improving your draft will be worth your while. After all, you don’t want to get a book out there which isn’t right. I wish you the best of luck with it. I’m looking forward to reading how you get on. Oh love. I feel for you, not getting ‘IT’S AMAZINGGGG’ is heart breaking, but at least you have honest, professional constructive feedback. I know that doesn’t make you feel any better, but I need to say it, because I’d want it said to me. I’m with you on this, Sophie. I was all set for editing my second novel, but I got the manuscript back of my first novel from the editor and after a really long and in-depth chat, I am going to do some major re structuring. It means my nano novel, that in was so in to will have to sit a while so I can sort this other one out. At least your new novel is something to look forward to once you finish the editing. I find editing so much easier and more enjoyable if I’m reading it on a page, as opposed to the screen. I think it gives a fresh perspective too and that’s helpful when you’re re-visiting something. I do hope you find it motivating.